When choosing a provider to meet your security needs, or evaluating your current provider, you are faced with a critical decision that has the potential to greatly impact your organization. Do you really know enough about the security guards who will secure your facility and safeguard your valuable goods and intellectual property? Do you want peace of mind and freedom from harboring potential concerns regarding the turnover of guards on-site or the ease of communications with their management? 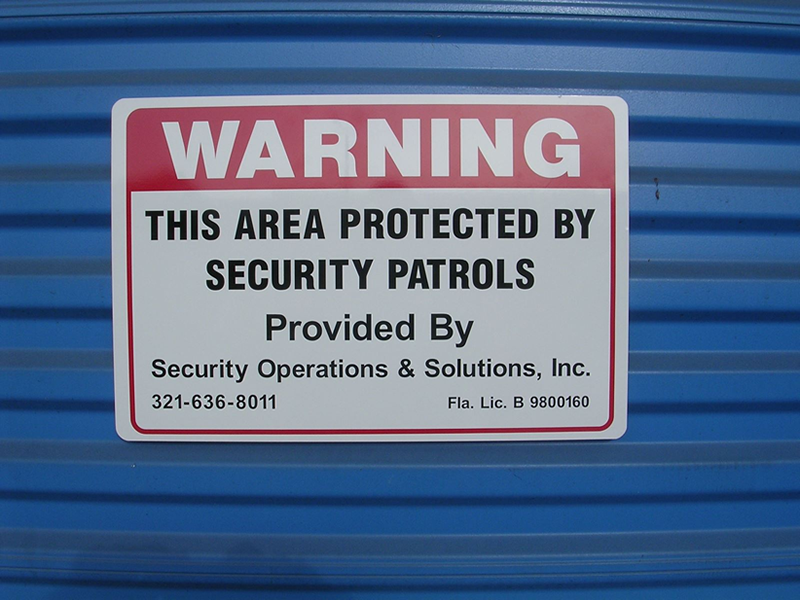 Security Operations & Solutions, Inc., a State of Florida licensed security guard agency was founded on more than 100 years of professional security management experience. Assisting our clients to alleviate potential fears of internal and external threats. Providing rigorous security guard screening and consistent site assignment. Facilitating 24/7 communications, problem solving and superior response and service. The result – a tailored, cost effective and high quality, yet interpersonal, solution to your company’s unique security requirements. Partnering with SOS will give you the secure feeling that your company should be able to take for granted. We demand more from our guards and ourselves to ensure your continued satisfaction. We are committed to you.